Beautiful home located in the Master Planned community of Village of Prosper Trails. This home features 4 bedrooms, Study, 3.5 bath, direct vent fireplace, granite counter tops, wood floors in entry, vaulted ceilings and stainless appliances. Enjoy the private study off the foyer and the open floor plan which is ideal for entertaining friends and family. Upstairs inc a media room and pool table size game room. 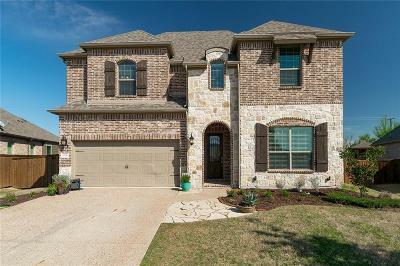 The home located in the highly sought after Prosper ISD. No MUD or PID.